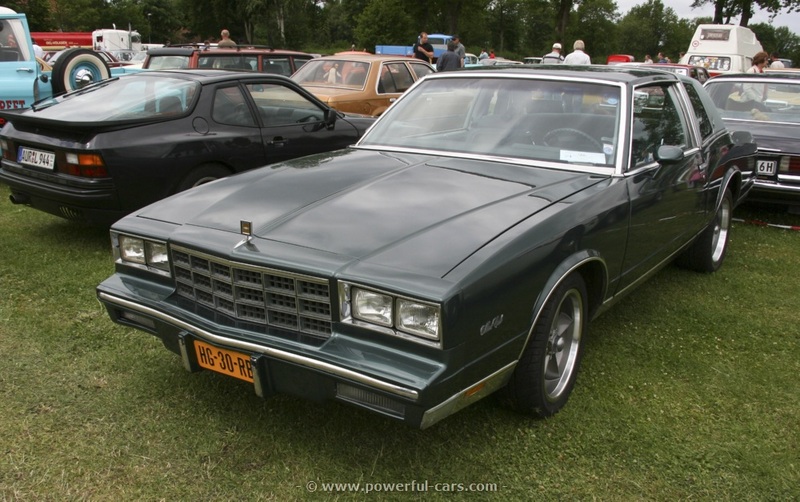 The 1981 Chevrolet Monte Carlo underwent a body restyle along with other GM mid-sized coupes featuring a smoother profile with less exaggerated body lines and vertical tail lights reminiscent of the 1973-1977 models. The front end looked similar to the 1980 model but it was lower, more square, and featured body color bumpers. All of the engines would carried over from the previous model year including the turbo Buick engine but they all received GM’s Computer Command Control (CCC) emission system. The 1981 Turbo Monte Carlos were the rarest Monte Carlos made. In addition to the Turbo engine the Turbo Monte Carlos featured a small scoop on the left side of the hood. It also featured Turbo 2.8 Chevrolet Bowtie badges on the sides of the hood scoop, on the trunk lid, and on the passenger side of the dash. Standard equipment consisted of an automatic transmission, power steering, and power front disc brakes.